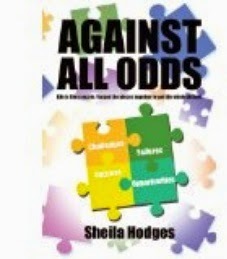 Against All Odds ~ Presenting a young girl, Wanda, being born in a single parent home in 1951, Wanda was raised by her single mother, which meant many things. First, Wanda was home alone a lot; her family also endured much poverty and moved many times. Wanda has three older brothers in the book that weren’t very nice to her and eventually multi-faceted forms of abuse arise from the boys, stemming from the parents, trickling down to the children. Wanda, having no real sense of family, ended up pregnant as a teenager and also married an abusive spouse, therefore repeating the cycle. Learning to overcome the many pitfalls of poverty through education, Wanda perseveres and relies on her faith in God from a young age to see her through the storms of her life. This wonderful story depicts the often plight of children raised in poor environments with a lack of family structure. Endearing, this novel displays how God can help turn one life’s around, and points others in the direction of seeking God’s Kingdom first in their lives. The book begins with a poignant scripture, Matthew 25:31-40 where Jesus separates the sheeps from the goats at the end of the age, speaking of those that fed the hungry, clothed the naked and visited those who were sick and in prison. This is a highly encouraging and educational read, giving others faith in Jesus Christ and His Word for life’s journeys.